Astro Manufacturing & Design’s CNC Milling department has full milling capabilities. 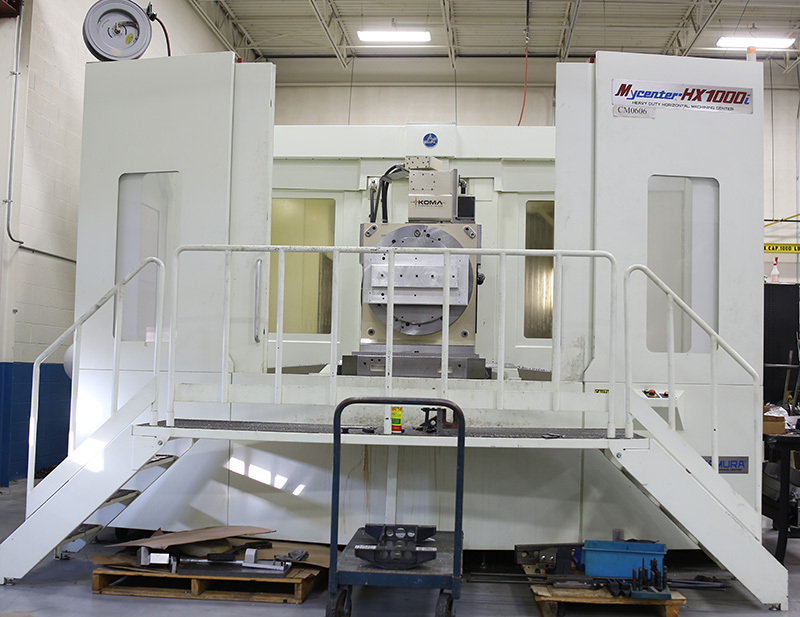 We use 3-, 4- and 5-axis CNC equipment, and have over 2 dozen machining centers. Our CNC milling services can produce parts with dimensions as large as 80” (x-axis) by 52” (y-axis) by 54” (z-axis) on pallets as large as 40” x 40”. Astro provides high precision CNC milling services. Most of our CNC milling centers are equipped with a fourth axis turntable to handle high-volumes and precision parts with a single set-up. This creative fixturing is also used with pneumatic actuated clamping systems to speed part changeover and reduce the number of set-ups on CNC milling jobs. Contact us today to learn more about Astro Manufacturing & Design’s CNC large capacity milling services.